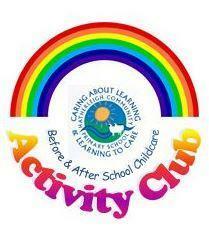 We offer before and after school Childcare every morning and four nights a week. Childcare does not operate on a Friday after school. Sessions run from 7.45 -8.45 a.m. and 3.30 - 5.30 p.m. Melanie Cooper provides before school care and Cindy Squire/Jason Collins are our after school play workers supported by Chelsey Weeks. The cost of a morning session is £4.50 and a two hour after school session costs £9. You may book your child in for one or two hours after school. Emergency childcare is also available. Please contact the school office if you are interested in a place for your child. Pumpkin Carving at our Rainbow Club.